Jamii Telecommunication Limited, also known by the acronym ‘JTL’ is the company behind the ‘Faiba’ brand, one of Kenya’s leading Internet Service Providers (ISPs) for businesses and home users. 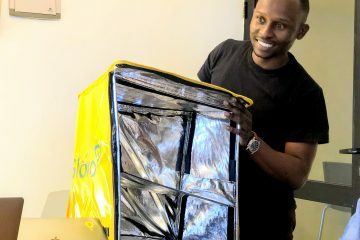 Faiba is well-known as a brand in Kenya owing to their quirky TV commercials that have entertained us for the past few years and made ‘faiba’ become a household name. 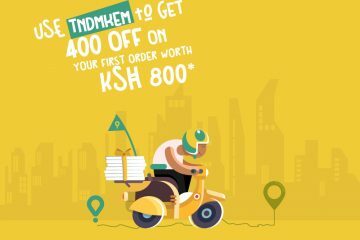 One thing is certain though, as funny as the Faiba ads are, JTL is deadly serious about doing business. They have made massive in-roads in the marketplace – especially with their Fiber To The Home (FTTH) offering that is known to be fast and reliable, unlike many of their competitors. 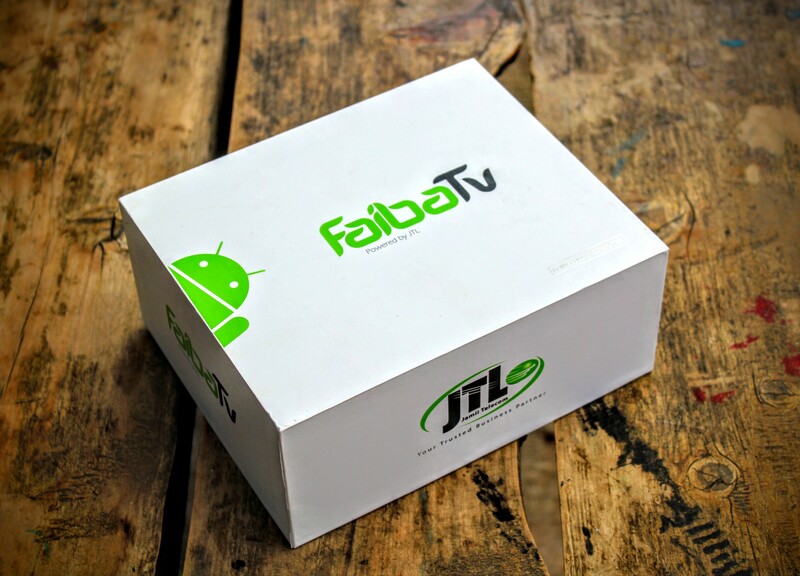 Not content to just offer ‘pipes’, JTL launched Faiba TV a couple of weeks ago with their existing customers. 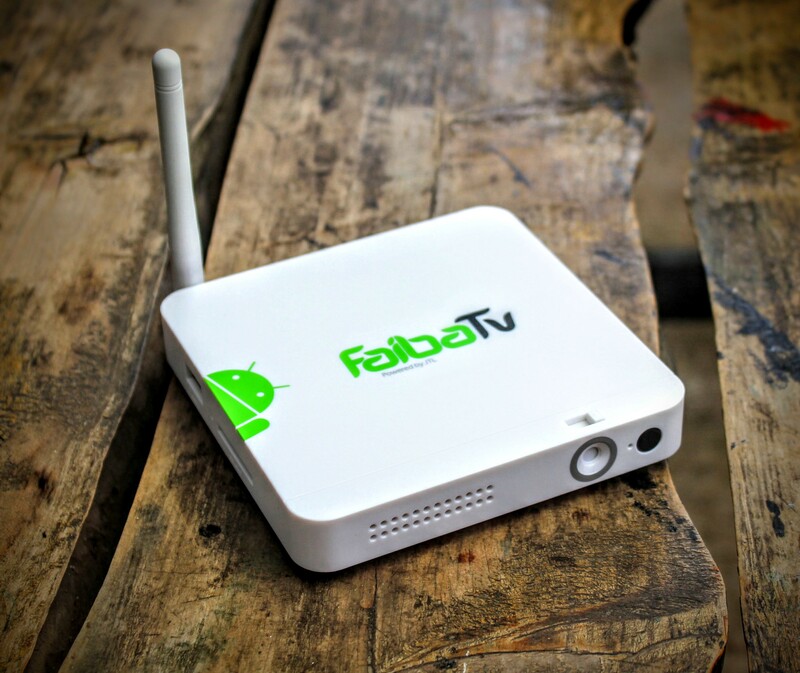 Faiba TV is an Android-powered Internet only Set Top Box or STB that is being sold for Kes. 10,000.00 at launch. 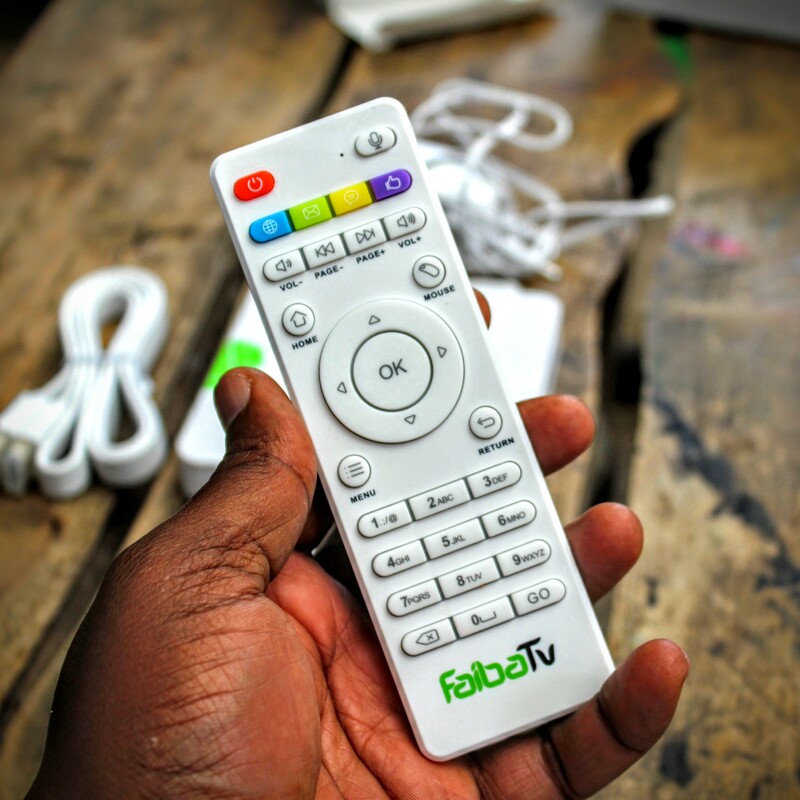 Faiba TV is somewhat odd compared to more mainstream STBs in Kenya in that its a purely Internet-based offering and does NOT use terrestrial or satellite broadcast signals. 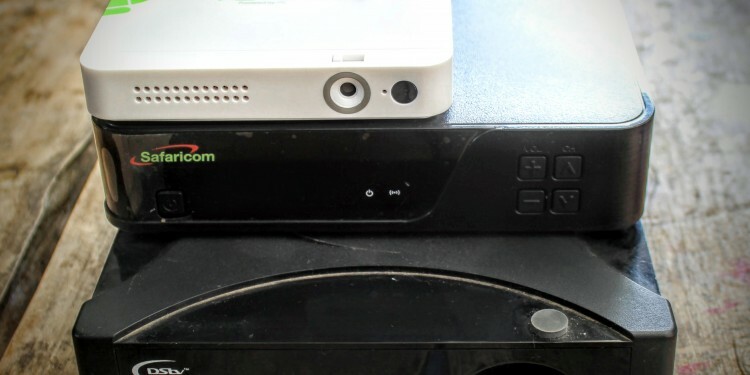 Indeed, Safarcom’s BigBox is a hybrid STB that can do both types of technologies and the likes of DSTV and Star Times are purely satellite or terrestrial based. 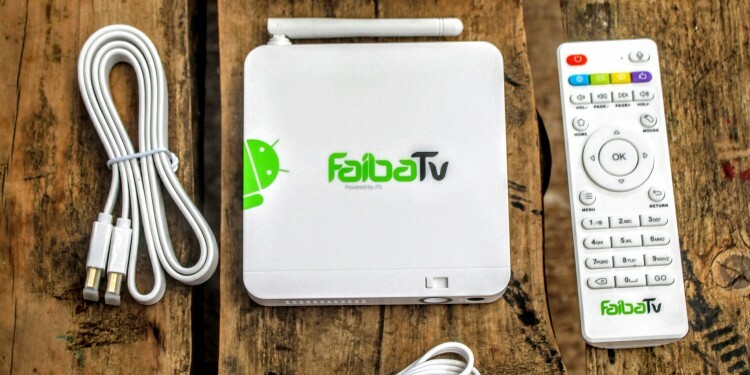 However, Faiba TV is NOT the first Android-based Internet STB in Kenya as many have also been signing up for MBOX for sometime. 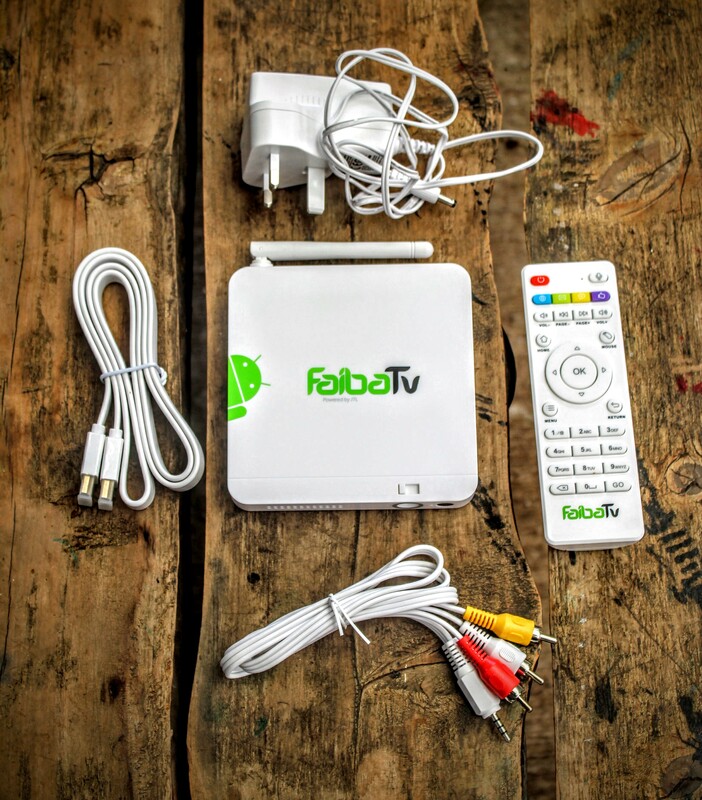 I got my hands on Faiba TV this past week and managed to install it at home this weekend. The whole process was somewhat straightforward even though using a remote instead of a keyboard was a little tedious and time consuming? 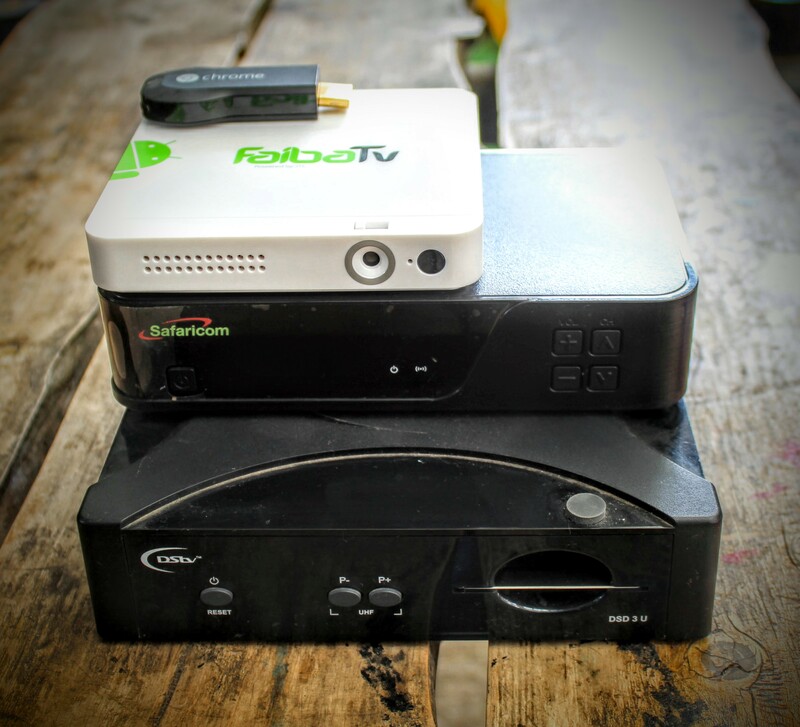 Its surprisingly small – The footprint of Faiba TV is really small compared to my now defunct DSTV STB as well as my Safaricom Big Box STB. However, its larger than my Google Chromecast dongle. 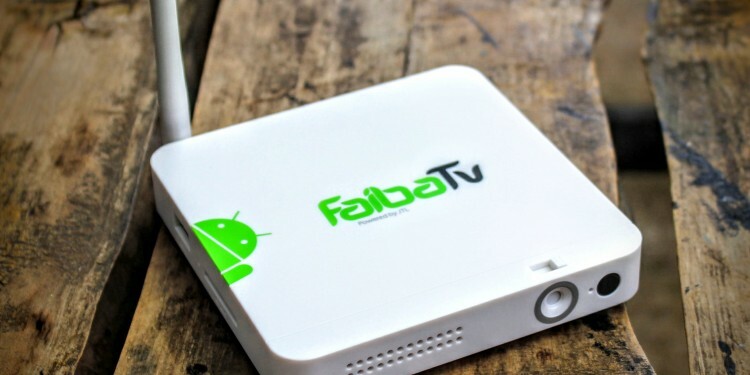 It works with Google Play natively – This means no side-loading required as you can download and install Android mobile apps directly onto Faiba TV. I did this with a few mobile apps already and it works like a charm. The only caveat is that you need to install your personal Google account to get it working. 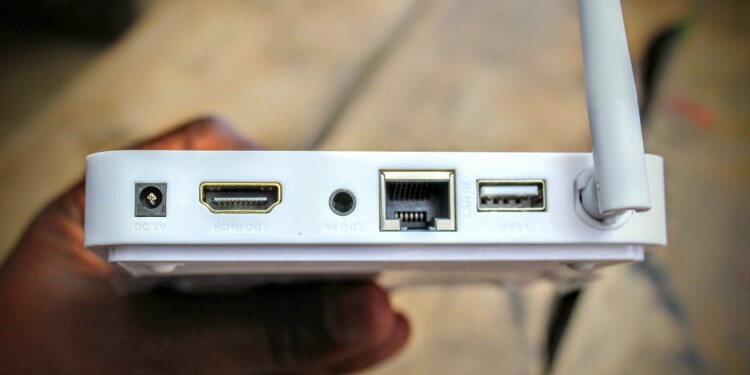 It has lots of expansion ports – It comes with 2 USB ports, an SD Card slot, Ethernet, HDMI, Composite Video, WIFI connectivity, etc. This means extensibility is high and essentially future proof? You can add keyboards and game pads for instance to gain full utility. 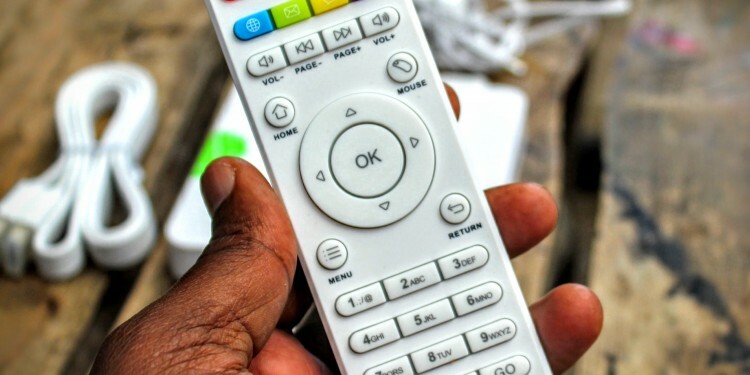 It has lots of free TV channels – I am not sure how this works exactly but there are ridiculous number of free channels available on Faiba TV including local ones like KTN and Citizen TV. It also has free on-demand content via its many mobile apps that do this sort of thing. All I can say is that its day one and I am shocked at whats on this thing! 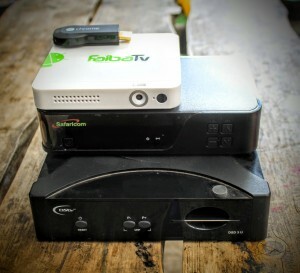 DSTV and others like them are truly screwed if this is the trend going forward! 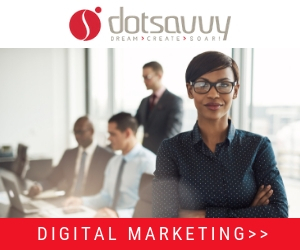 It also works with premium on-demand content – Netflix and Hulu work on it. You just install the mobile apps. It also supports other mobile apps for this sort of thing. 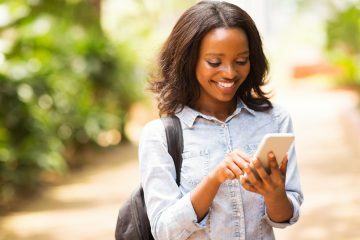 Basically, you are sorted for premium on-demand content and can use a VPN too. The best thing since sliced bread perhaps? 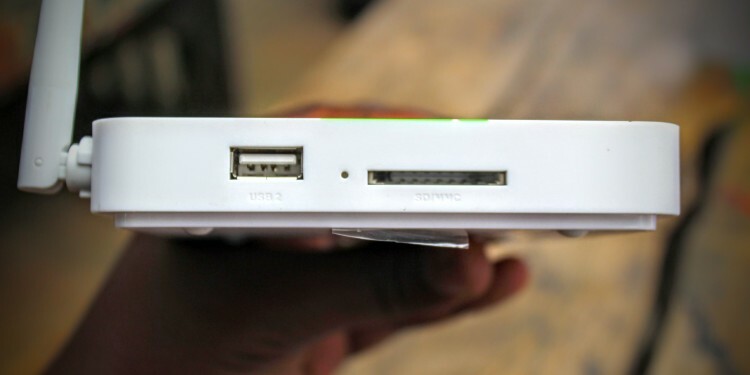 It supports gaming – Its Android, right? 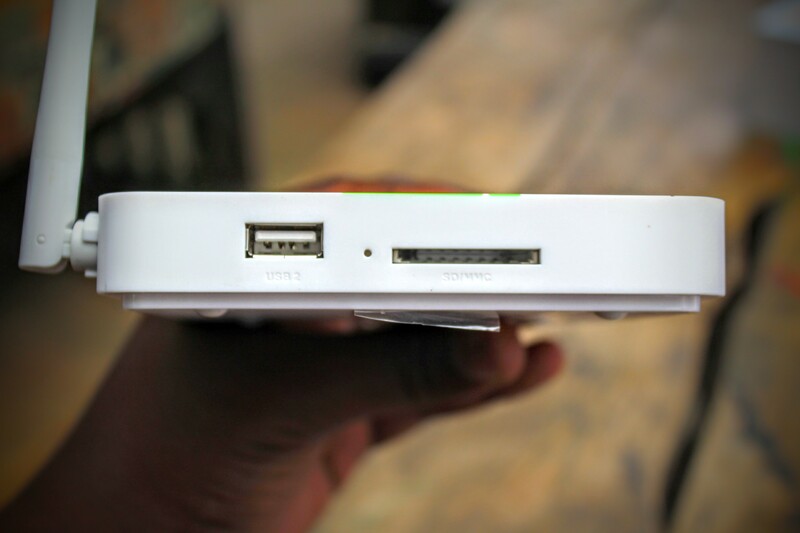 So, basically, you can install and play games on it. 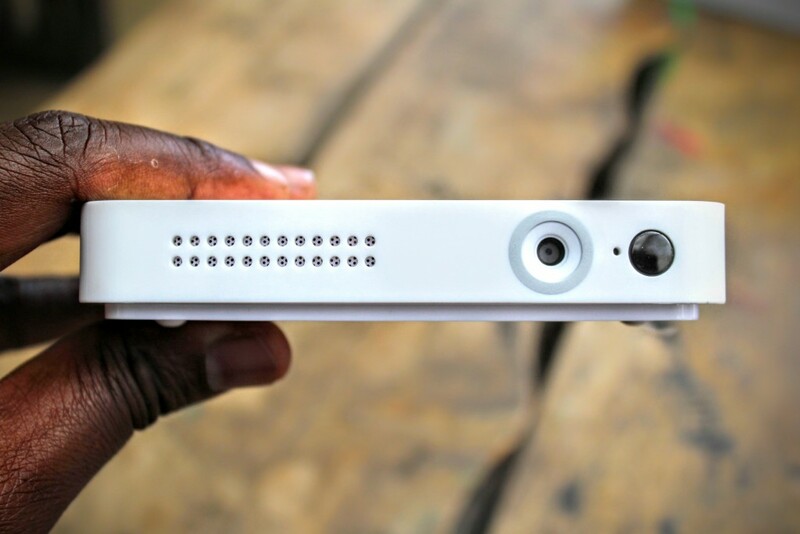 I have NOT yet done so but the box it came in clearly touts this functionality which could feasiubly make it a low-cost alternative to high-end and expensive gaming consoles. So. In a nutshell. There you have it. Faiba TV is impressive. There is no subscription fee after you buy it. 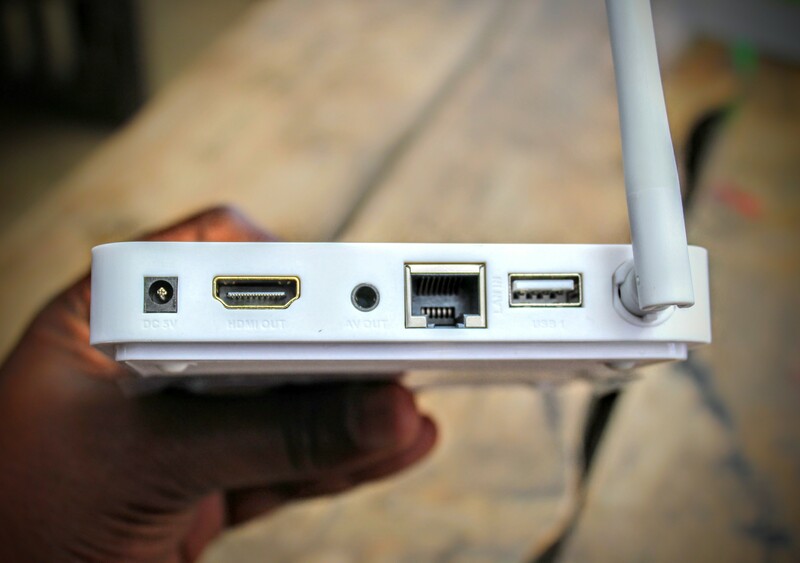 Just connect and your TV is online to most of the best content in the world. Over the the next couple of weeks I will get a true sense as to how good it really is with all the pros and cons that I will share here as a full review of the same. I really like your blog.Also,please next time add about Internet speed of the faiba TV and it’s monthly cost. @Clemmo there is no monthly cost. All you need is an Internet connection. Only problem I have is with this service providers like Safaricom I don’t understand y they don’t have unlimited Broard band services at a reasonable price .Because people like me in kerugoya are not getting faiba anytime soon .but Safaricom and the rest have 4G in most of this rural towns.why don’t they come up with good, affordable and unlimited packages(not bundles ).Because having lived abroad for sometime I know that the only way to enjoy the Internet is through unlimited internet. Another informative review. Thanks Moses, keep them coming. 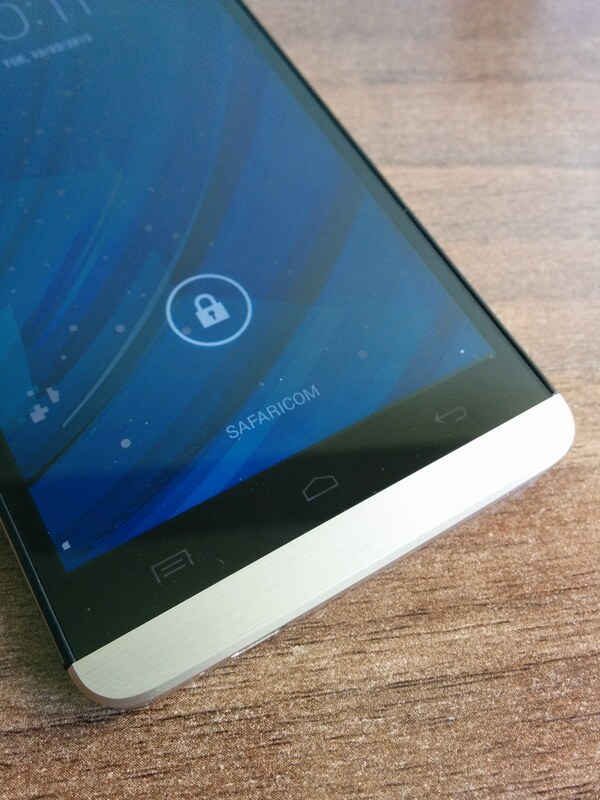 What are the hardware specs on it (processor cores, RAM). Also does it play 4k video well. RAM under 2Gb often means 1080 max. Have you tried to connect it to another internet provider and do the (IP i assume) TV channels still work? @duncan apologies for not reverting sooner. It does not do 4K video. I have only ever used it on a JTL/Faiba connection. So far, so good. It’s good to point out that you will need to purchase a 10 mbps speed internet package (or sometimes higher) for it to work optimally. Please dish on how you installed your VPN, I can’t figure it out! Did you use one via Google Play? 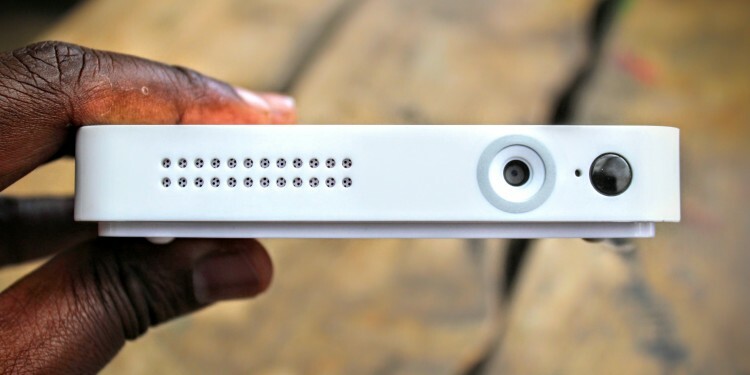 Also, will it work with any Internet service provider or just JTL? @ranelle I use a 5mbps link at home and it works fine. Thanks! There is no follow-up. 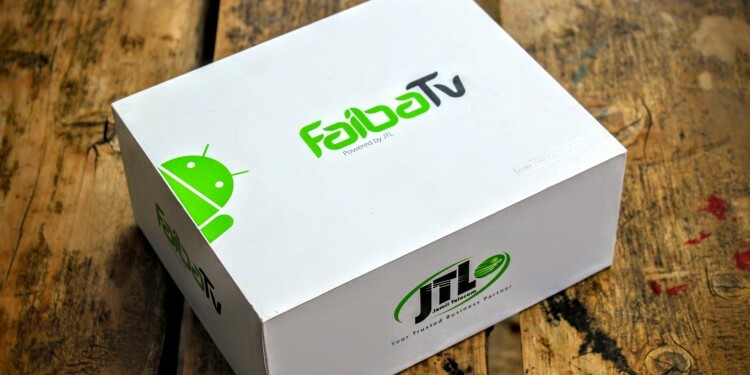 I think JTL discontinued this offering and there are many alternatives in the marketplace when it comes to Android STBs.